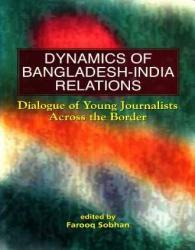 The present volume is the outcome of two India-Bangladesh Dialogues of journalists which were held on 7-8 September and 30 November-l December 2004 at the BEI. The initiative was the first of its kind inspired by the belief that young media persons hardly carried the burden of the past history (1947-71) of the subcontinent. 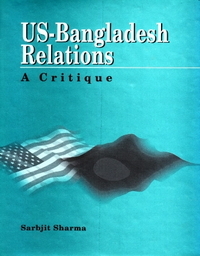 The subjects covered in the keynote papers presented and the ensuing discussions and interventions include: foreign policy perception, trade & economic cooperation, arms and drug smuggling, cross border terrorism and other border problems, water sharing, future of SAARC, energy cooperation and export of gas, surface communications and media perceptions and prospect of Indo-Bangladesh media cooperation. The volume will provide an opportunity to interested readers to familiarise with the thinking pattern, particularly of the young journalists of Bangladesh and India. More importantly, the dialogues were able to contribute towards a better understanding of the issues that were constraining good neighbourly relations. 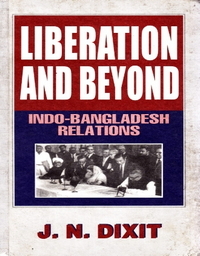 Noticeable was the chemistry at work among the participants from both sides of the divide, hence reason to be optimistic that a positive trend would eventually emerge in the media to allocate more space to objective reporting and fair coverage of Bangladesh-India relations and developments. 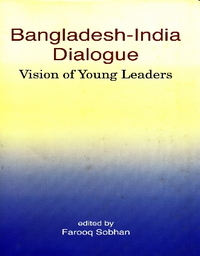 The volume should also be of interest to the policy makers and other stakeholders who wish to develop insight into intricate areas of discord between Bangladesh and India and the possible resolutions suggested by the young minds.